A backpacker camp stove is a must-have for campers, and there are many stove options on the market today. The MSR WhisperLite Universal Stove is available from REI and Back Country, and it's a great versatile choice for meal preparation in the backcountry. This top-of-the line model costs about $105 and can be used in just about any weather conditions. It is not the lowest-cost model, but has many extra features that backpackers may find appealing. It was selected as a 2012 Backpacker Magazine Editors' Choice product. The Primus Classic Trail stove for backpackers is a much more basic mode. Available from BackCountry.com and Amazon, this stove runs about $20. If you are looking for a good, basic stove, this model may meet your needs. It does not have the same features as the WhisperLite; for example, it does not have a windscreen or heat reflector, nor does it have any self-cleaning functionality built-in. 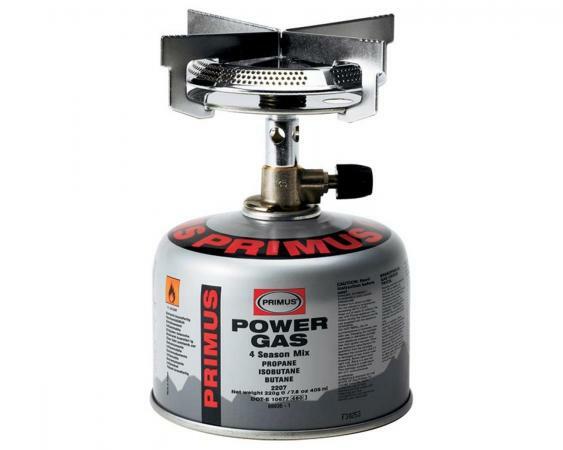 It cannot take multiple fuel sources, operating only on propane fuel canisters designed for use with backpacking stoves. While it may not work as well as more expensive models in extreme conditions, may not be as easy to clean, or may not function with multiple fuel sources, this stove does heat quickly and serves its purpose well. It has received excellent reviews on Amazon and TrailSpace.com. If you are an occasional backpacker who is not planning to venture into the backcountry in very cold or windy conditions and you don't mind manually cleaning your stove, this low-cost model may be ideal for your needs. 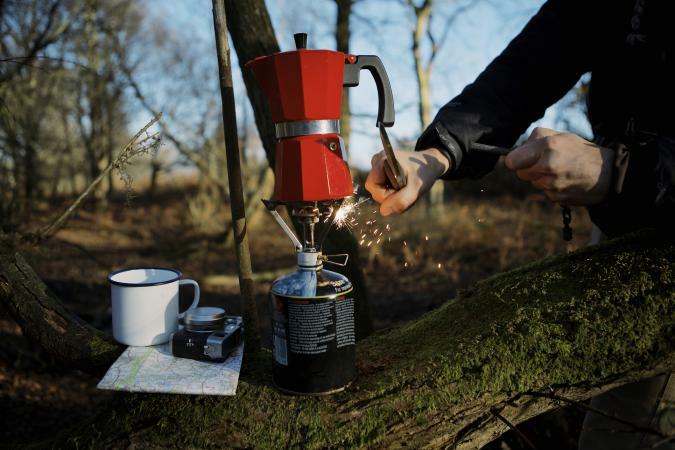 The availability of the fuels may greatly influence the camping stove you purchase. For example, petrol fuels, like kerosene, are commonly associated with camp stoves and easy to find. Petroleum canisters are also popular choices, and they are easy to pack and carry. Alcohol is another popular choice because it's light. On the other hand, wood-burning camp stoves may or may not be convenient depending upon the availability of wood in the area. When choosing a backpacker camp stove, you might want to consider the speed of cooking as well as your cooking needs. Cooking speeds are directly linked to fuels, but keep in mind that fuel efficiency may also factor into the mix. In general, petroleum based fuels burn faster, but this often means you need a larger quantity of fuel. However, if you want to cook your meals rather quickly, this type of fuel is probably your best option. On the other hand, wood and solar radiation may be much more economical, but cooking times are much slower. In addition, cooking needs often dictate how food is cooked. Do you want a camp stove on which you can simmer your meals? If so, an alcohol based stove is a generally a good choice. On the other hand, petrol stoves may only allow you to cook foods on high. When you're camping, you don't want to spend much time babying your stove into performing appropriately. This is why most campers look for stoves that are considered "user friendly." Again, you have several choices of stoves that can fall into this range, but even these can differ in their performance from one manufacturer to the next. 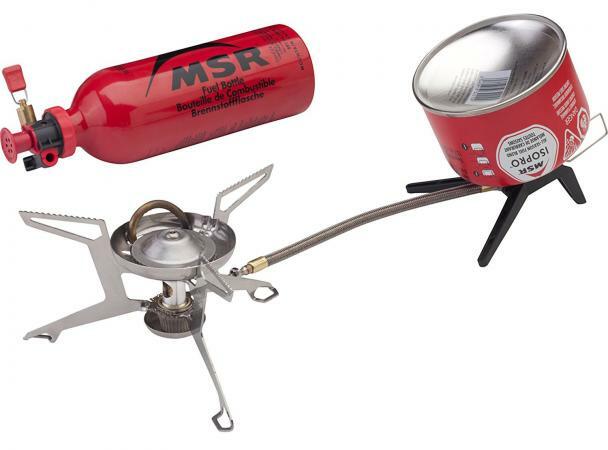 The simplest camp stove to buy is the pressurized petroleum stove. This stove really doesn't involve much -if any- maintenance and is simple to light. Alcohol and petrol cooking stoves are often trickier to use and may require continued maintenance. If you're good with this sort of thing, you may not mind trouble-shooting your stove's issues, but if you don't have a lot of patience or ability, stick with the pressurized petroleum canister stove or wood fuel. There are several factors that can affect your stove's performance and your stove choice. Keep the following points in mind. Cold weather - Some camp stoves are difficult to light in very cold weather. Fuel may need to be warmed by placing it in your sleeping bag. You may also need to use a platform for your stove to keep it off the cold ground. Costs - Factor in the cost of the stove as well as the fuel before making a decision based on the expense of the stove you purchase. Safety - The safest fuel is solar radiation, but you have to wait a long time for your food to cook. You should use caution when handling any other type of fuel, including burning wood, and keep children away from any fuel at all times. Environmentally friendly - The most environmentally friendly camp stoves rely on solar energy, which certainly isn't convenient. A more usable option is a fuel gasification system that converts wood into "clean" gas. Alcohol, including methanol and ethanol, are renewable fuels that burn clean as well, and some people turn to biodiesel, which is fuel made from fryer wastes. Since there is such a huge difference in one backpack stove versus another, it is a good idea to do your homework before you make this essential camping purchase.